Structural mezzanines are designed and built to accommodate a specific space. They can be single or multi-level. Often, they are installed inside of a processing or manufacturing plant, office building, retail store, warehouse, industrial plant, institution, government facility, university or distribution center. Structure mezzanines add a second or even third level inside of your facility to double and even triple the amount of space you have inside. Mezzanines serve to create a new office, production, storage or assembly space, stockrooms, parts departments, locker rooms, work platforms, cafeterias and company records storage. A mezzanine can be custom built to fit around your current equipment, columns and any other obstructions in the space. They can also encompass a wide span, unique spacing and specialized cantilevering. 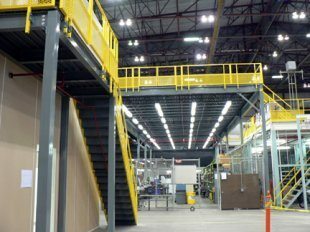 Often, these structural mezzanines by Panel Built can be integrated with vertical lifts, in-plant offices, conveyors, racks and other products to handle materials and maximize the current space to improve product flow. Final designs are based on the application requirements. Careful attention should be given to any specific issues before you have your structural mezzanine designed and built. A thorough evaluation of what it is that you need is critical to determine what is going to work the best for you. During the design process, consider some of the following to make sure you get everything you need. How Are You Planning to Use the Structural Mezzanine? One of the main things you should look at when it comes to getting a structural mezzanine is where you are going to locate it inside of your establishment. Do you have ceilings that are higher than 14 feet in height? 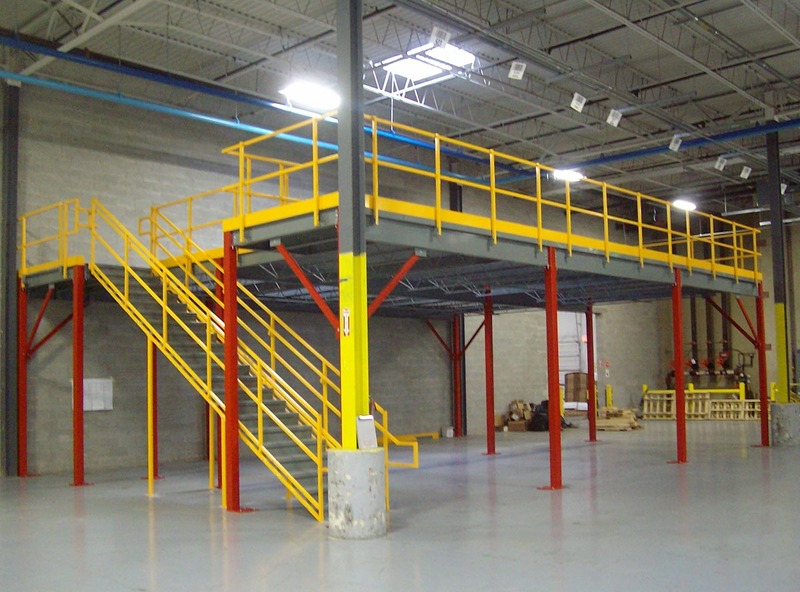 Are you planning to use the mezzanine for storage, equipment or in-plant offices? Do you plan on tying the mezzanine to an existing assembly line? Will you be expanding upon the design in the future? All of these things are important when it comes to incorporating a mezzanine into the equation. Do You Know the Slab Capacity of Your Floors? Typical slabs are six inches with a degree of shrinkage reinforcement and temperature. If you don’t know your floor capacity, perform a soil and slab analysis. Determine whether the slab is capable of supporting a structural mezzanine or if you are going to have to incorporate special footings. Application requirements are going to greatly affect your design and any subsequent column loads, so it is important that you find out early if the slab is going to provide the support needed. Have You Calculated an Acceptable Layout that is Going to Meet Your Needs? Mezzanine manufacturers will be able to recommend a column layout that accommodates your needs and works for your slab. Custom structural mezzanines should meet everything that you need to a tee. Column layouts should be able to accommodate anything that you have on the upper level, as well as give you the amount of room you need on the lower level. If you have an existing operation on the floor that you don’t want to interrupt, you need to make sure the column layout can accommodate your needs. Fewer columns equate to a higher column load, which increases the chance that you are going to need concrete footings. Using fewer columns should be weighed against the cost of putting new footings into place. Do the Guardrails and the Stairs Meet the Building Codes? A mezzanine that is accessible to the public needs to accommodate the code requirements for stair extensions, stairways, guardrail spacing and more. If the structure is only going to be used for a storage room, and it isn’t accessible to the public, a separate set of building codes might apply. What Are the Capacity Requirements of the Mezzanine? You need to consider what is going on top of the structure and pass the information along to the building company to make sure it is designed to the proper code classifications. Mezzanines for lighter storage might provide a load capacity of 125 PSF, while the heavier storage units might have load ratings of 250 PSF. Equipment platforms could end up with a rating of only 60 PSF. By working with qualified contractors, you can determine the mezzanine needed to accommodate your capacity needs. Do All of the Mezzanine Materials Conform to ASTM Specifications? Take the time to ensure all of the building materials used for the construction of the unit conform to ASTM specifications. Everything from the base plates to the support columns, joists, structural framing, handrails and roof deck need to be inspected to make sure nothing is being left out in the construction of your unit. You deserve a unit that is capable of standing up against whatever may come its way. Click here to see what mezzanine structure is going to accommodate everything you need for your business today.